Looking for concept ideas? 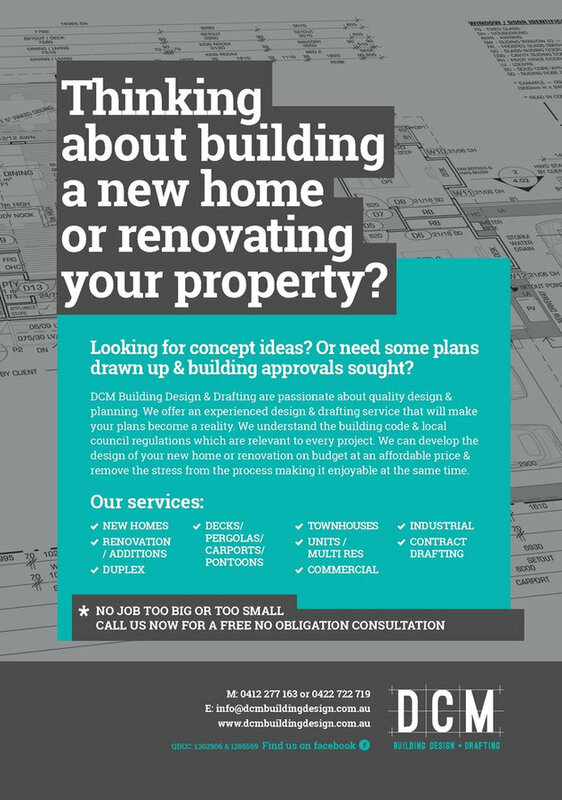 Or need some plans drawn up & building approvals sought? 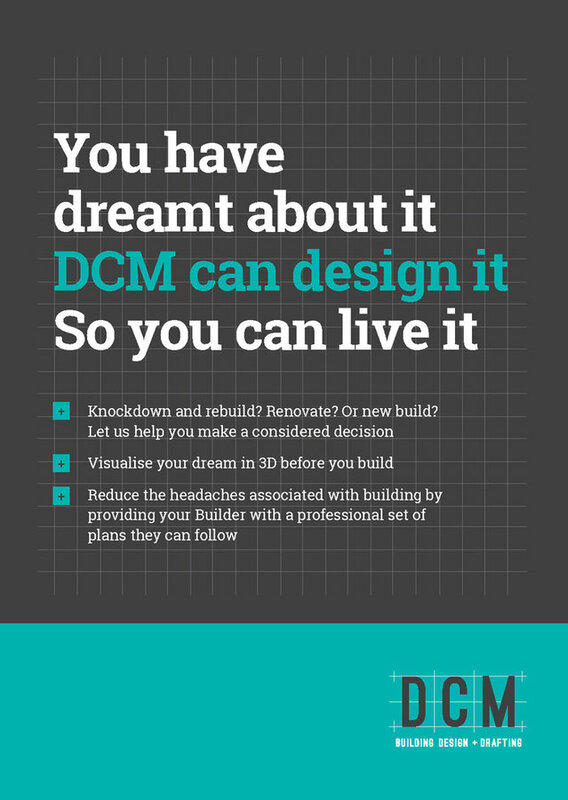 DCM Building Design & Drafting are passionate about quality design & planning. We offer an experienced design & drafting service that will make your plans become a reality. We understand the building code & local council regulations which are relevant to every project. We can develop the design of your new home or renovation on budget at an affordable price & remove the stress from the process making it enjoyable at the same time.